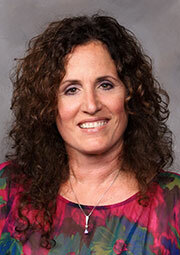 Dr. Laura DeMarzo Ed.D., Licensed Psychologist | Center For Psychological Services of Somerset County L.L.C. Dr. DeMarzo has been working in the psychological field for over 30 years. She received her Undergraduate degrees and Doctoral degrees from Rutgers University. She is on Medical Staff at Robert Wood Johnson University Hospital-Somerset Hospital and worked as a Staff Psychologist and then later took position as the Psychological Director of the Behavioral Health Unit where she worked for 8 years. She developed the Partial Day Program at Somerset Medical Center. In 1989 she entered private practice and after 8 years in solo practice decided to develop a group practice in order to meet the needs of the community at large. Dr. DeMarzo takes the time to answer each initial call that comes into the practice to ensure each patients needs are met and helps each individual get the help they need even if their needs require alternate referrals or direction she will give other resources. Dr.DeMarzo works closely with her colleagues in the community such as psychiatrists, nurse practitioners and physicians to ensure optimum care. Dr. DeMarzo is active in the promotion of mental health in the community. She founded the Bipolar Support Group at Somerset Medical Center. Dr. DeMarzo has done many speaking engagements over the years at schools and other community settings on a variety of mental health issues. She is active in committees on Bullying and Suicide Prevention. She is a member of the American Psychological Association, New Jersey Psychological Assocation and a Founding Member and current Membership Chair of the Somerset Hunterton Psychological Association. In her own private work with patients Dr. DeMarzo uses an integrative approach , combining many aspects of psychodynamic and cognitive behavioral therapy to help patients find solutions to their issues. Dr. DeMarzo specializes with children, adolescents and adults. She enjoys doing family and couples work as well as individual therapy. She runs group therapies ranging in topics of self-esteem, anger management, resiliency among others. Dr. DeMarzo is also available for speaking engagements, including schools, hospitals, work environments. Dr. DeMarzo is listed in Psychology Today.